Devenish has announced a $2.25 million investment in Kenyan company, Sidai Africa Ltd, which supplies crop and livestock services to farmers throughout Kenya with a unique ‘last-mile’ delivery service model. This enables the company to reach some of the country’s most remote areas. In Africa, up to a quarter of livestock dies each year due to preventable diseases. By improving access to livestock products and services, Sidai helps farmers keep their herds healthy, which in turn helps increase income and financial security. 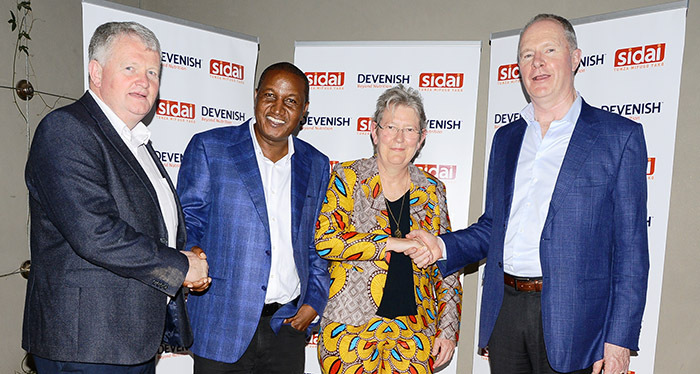 The investment by Devenish will enable Sidai to further expand its distribution network, launch new products and reach even more farmers across Kenya. Founder of Sidai, Dr Christie Peacock, said: “Sidai was established in 2011, with the support of the Bill and Melinda Gates Foundation and Farm Africa, to help improve sustainable agriculture in Kenya. Devenish said the investment is part of its ambitious long-term growth strategy in emerging markets.